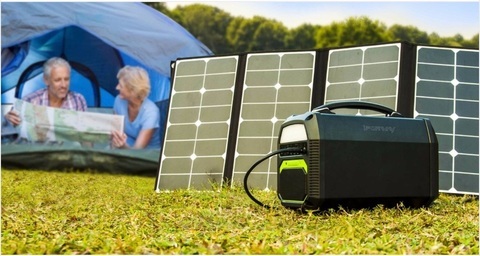 iForway PS300 Portable Solar Power Generator / Station..
.This PS300 power generator is a lightweight generator with power storage to provide energy for outdoor life and work. 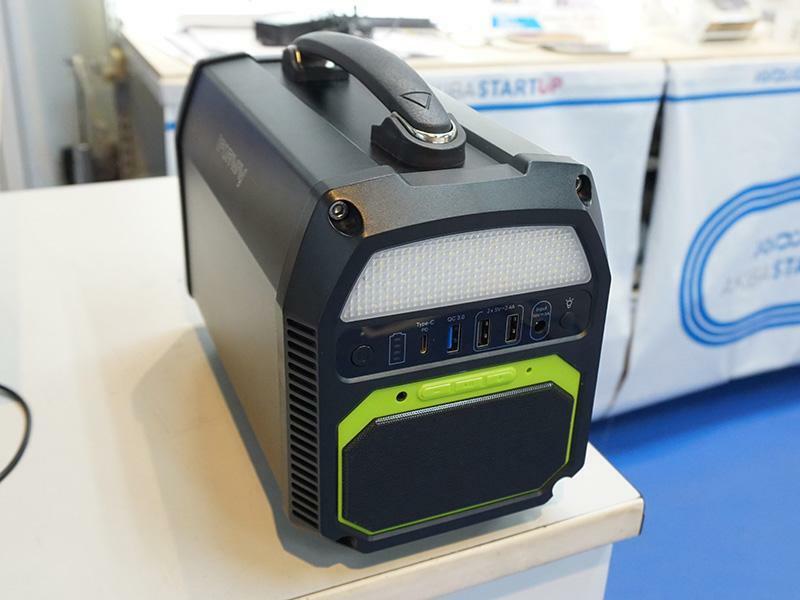 .Besides 300W high power AC output, it also equips with 12V as well as USB output. 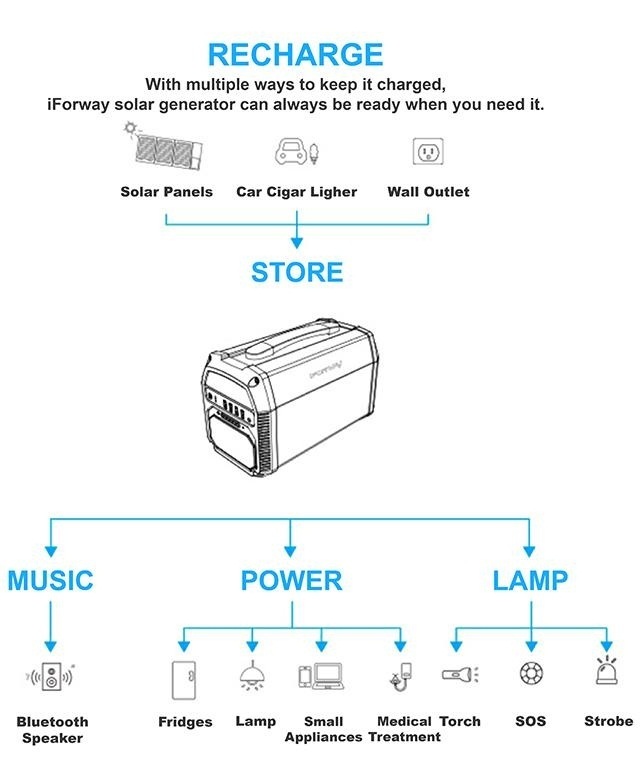 High capacity (462Wh) makes it fully support all powering demands like television, refrigerator, computer, handheld devices and so on. .PS300 also can be used as life support equipment by its long lasting power storage technologies, it can be the emergency power for life protection. 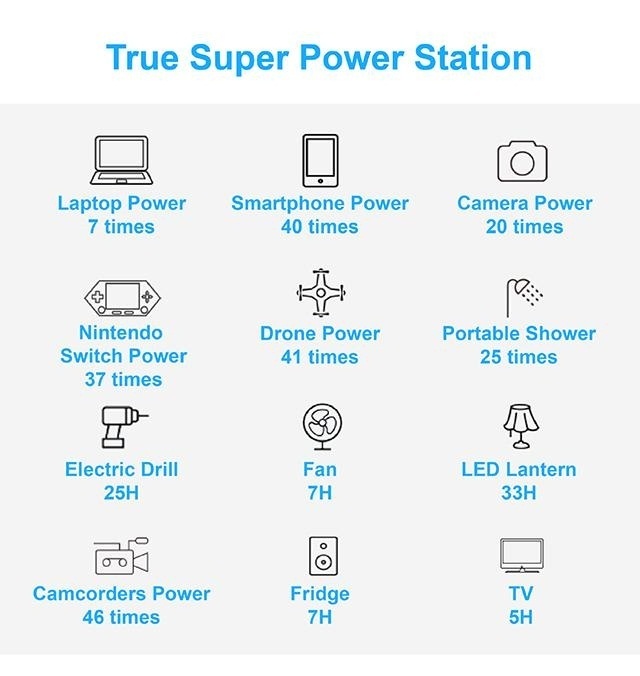 With a Mega-capacity of 462Wh (124800mAh) battery, PS 300 is one of the most powerful power stations you can find in the market. 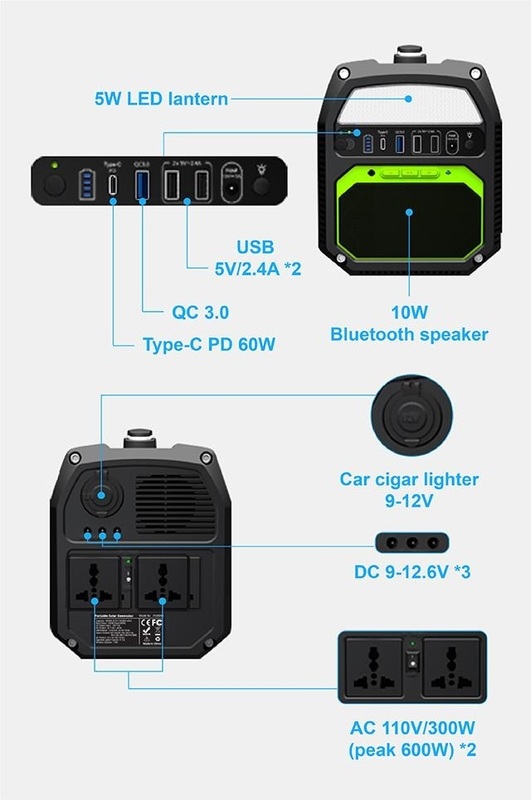 PS 300 has two AC output ports, a 60W type-c port, 3 USB ports(one is QC3.0), 3 DC output ports, a cigarette lighter socket, all these powerful output ports makes it possible to charge 10 devices synchronously! 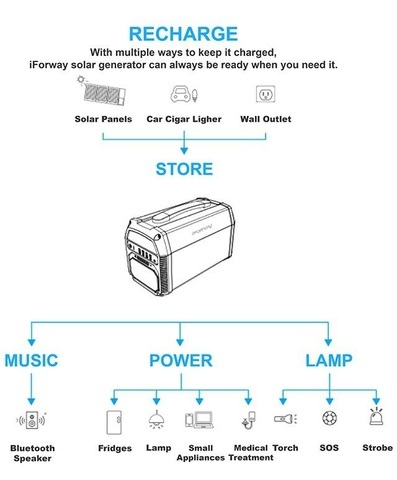 PS300 can be charged in 3 ways: wall outlet, solar panels, and car cigar lighter. 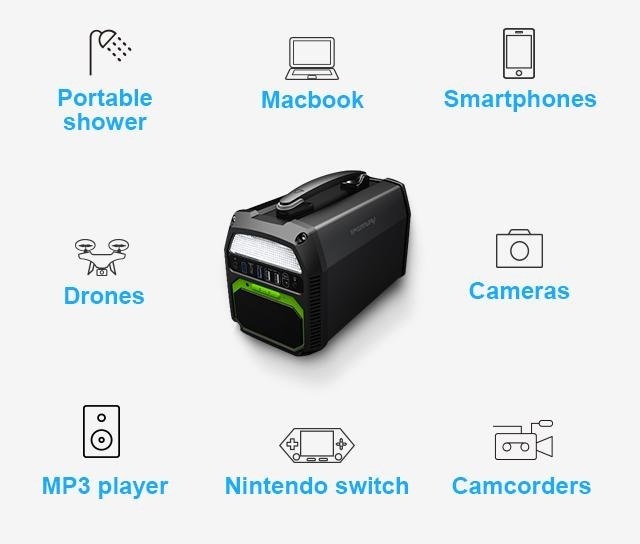 So even when you are in the middle of nowhere, you can still charge PS300. 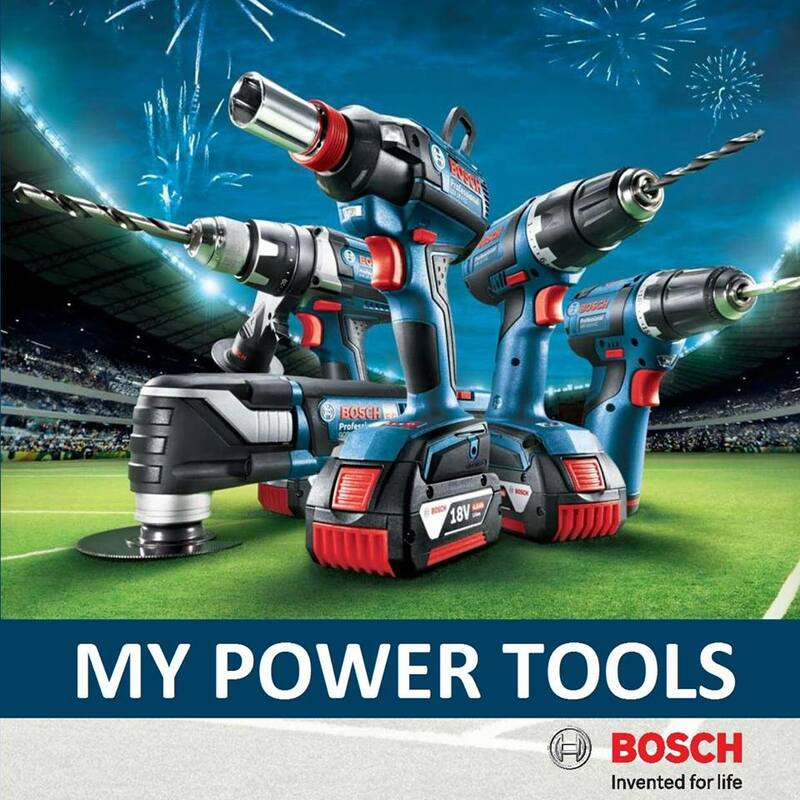 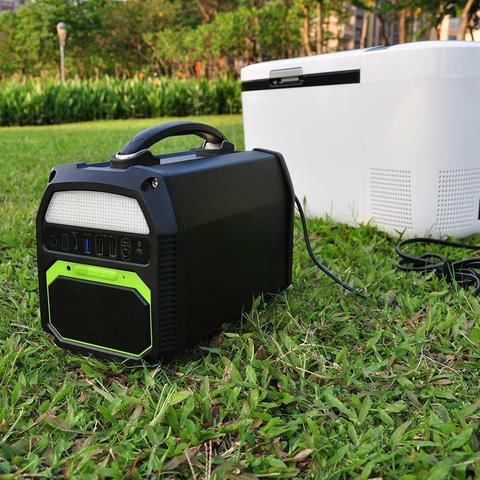 This power station is also integrated with a LED flashlight and a Bluetooth speaker for special occasions. 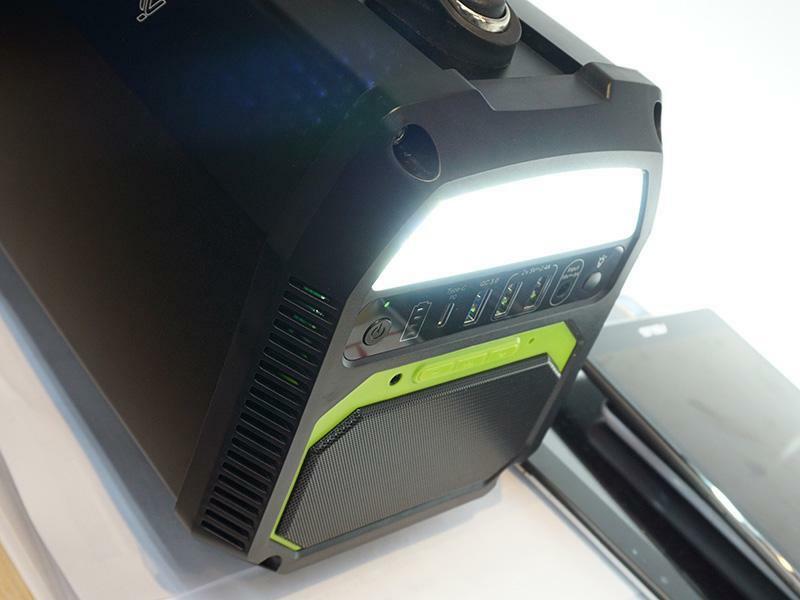 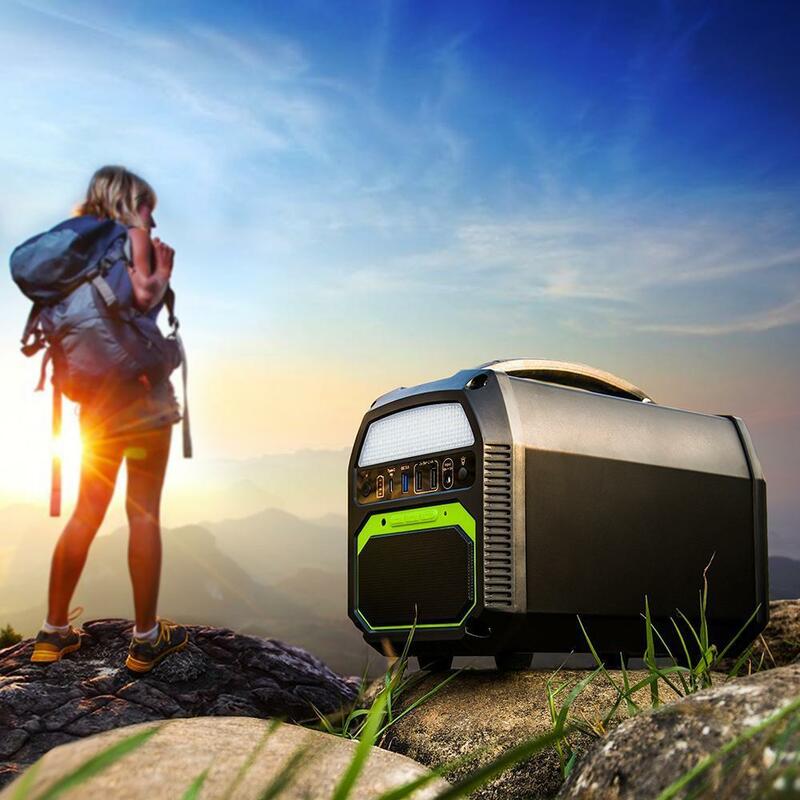 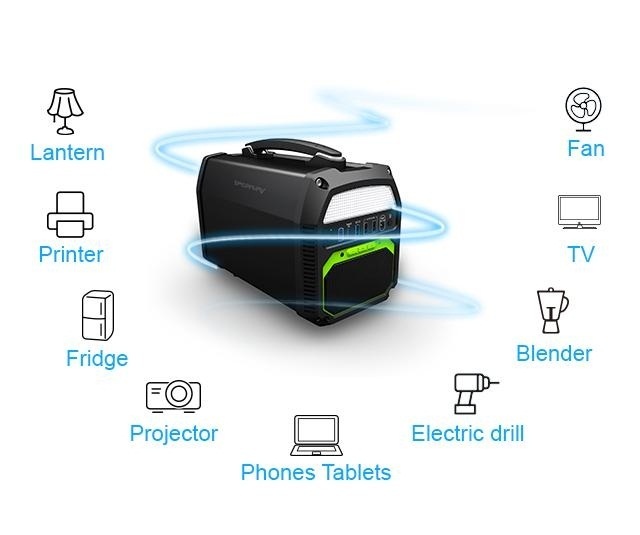 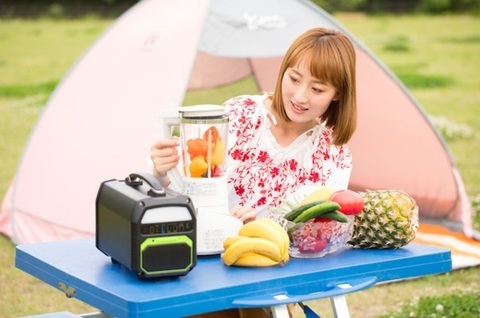 Take PS300 portable power station with you on your next adventure! 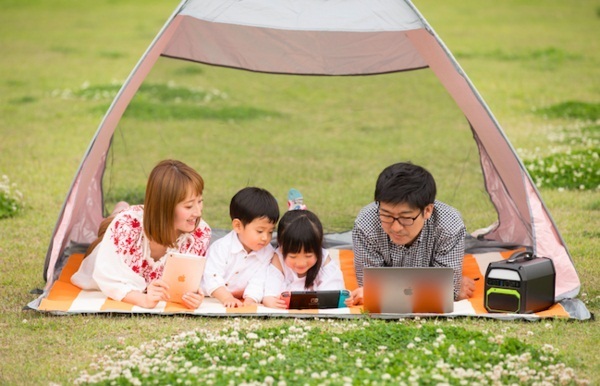 An award winning photographer (USA Nature's Best International Photography Awards, British BBC Wildlife photography Awards), Yukihiro Fukuda, gave a detail review for PS 300. 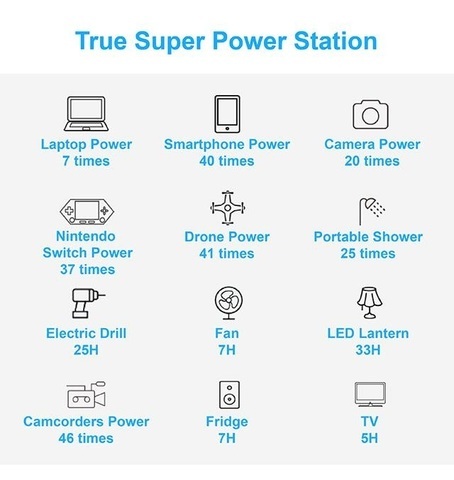 He has used PS 300 for 12 months. PS 300 power station is more than a powerful power source, it provides multi protection procedures to avoid any damage to the battery itself and to your valuable devices. 3x DC output 5A max. 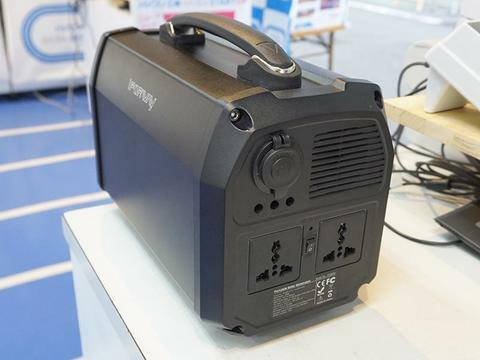 PRICE RM2,400.00..(iForway powering the future)..